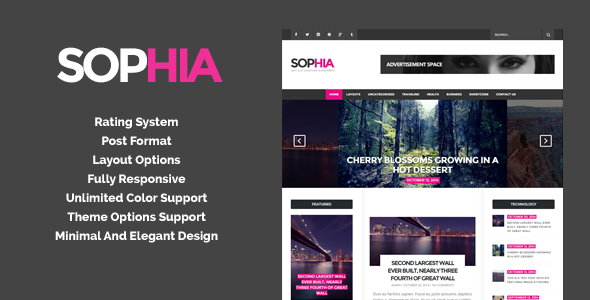 Sofia is a modern minimal yet elegant WordPress theme focused on readability and functionality, Sofia’s goal is to make readers comfortable reading content on your blog with its standard sized fonts and big headings readers will surely enjoy visiting your blog. Item Reviewed: Sofia An Elegant Responsive Magazine WordPress Theme 9 out of 10 based on 10 ratings. 9 user reviews.